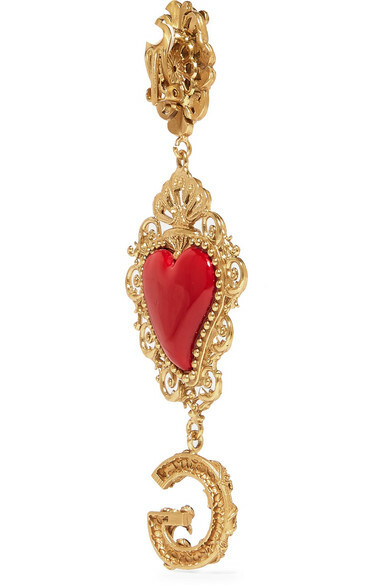 There's never a shortage of ornate accessories on Dolce & Gabbana's runways. 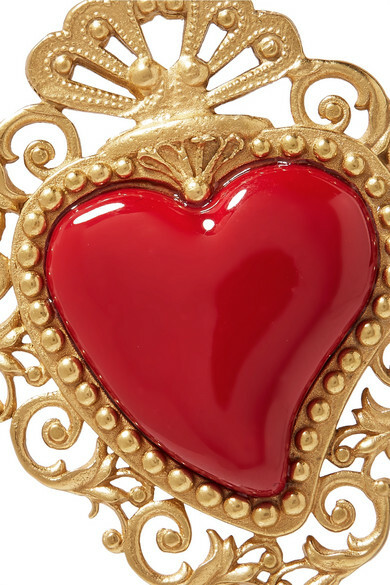 Inspired by heirloom jewelry, these clip earrings have been made in Italy from filigree gold-tone brass and decorated with glossy enamel hearts. 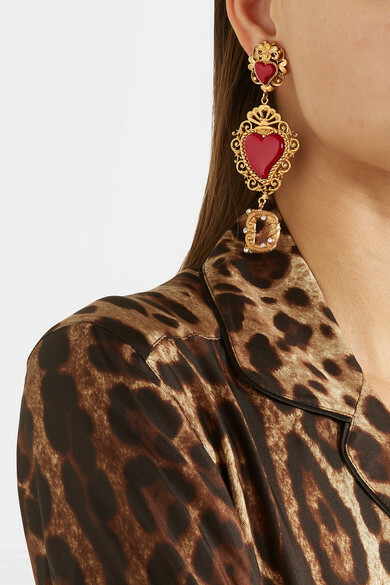 The crystal-embellished charms bare the label's initials. Shown here with: Sophie Buhai Bangle, Monica Vinader Bracelet, Jennifer Fisher Cuffs.